Looking over the feild from where i live it certainly looks like snow the wind seems to be blowing from the cheshire gap that usualy means snow but we will have to wait and see. Over the years i have seen some snow mostly waist hight i have pushed myself throught with just a shovel but some was far to deep over a five bar gate and frozen solid. The roads compleatly blocked no lorries and such could reach us only a hellecopter, that flew animal feeds in and a big tray of bread, for us living on this sparse hill side was very hard in the winter, but beautiful in the summer months, but i liked most months i would be away with my gun i poached most things rabbit, hare, pheasent, partridge, and such a friend even got a sheep, or two but i kept out of that it was taking it a bit to far. i would l find a good ditch i could lie in with some bags to keep the mosture out then feed an area in front with currents the pheasents loved them i would return the next day i had made a line, up especaly for catching the pheasents, they were suckers to catch this way tie it on to a hazel stick using a size twelve or eight hook cast out and wait for a bite, it would soon come it was nothing to catch half a dozen or so that was enough for me they are quite heavy to carry back in a sack but they will last a few days well in freezing weather they will last a lot longer, we would clean up feathers and so the keepers would not notice anything unusual. Thanks all for your kind remarks very much appreciated. I loved the country side and all that was in it but this was taking it a step to far, come on pete lets explore the grave yard it was not for me, but how do you say know i could not be called yellow so we had to get on with it we lit our candles in our lantern,s there was only five of us my mouth was dry before we got anwhere near the place we got under the oldgate house it was absolutly over grown mostly by black berry bushes in places they were over our head. Althought some had been cleared i was taken back a bit some were from the old gypsy clans some i knew from years ago i must admit i shed a tear, then i heard my mates shouting i had got down on my knees i had waited for this where are you pete, with a granky voice i answered them and a bit of hi oh i heard then running coming towards me i let the first go by but grabbed the next by his shoe, he has got me, he shouted please let me go i did as instructed making one hell of a noise i was screaming i could not could not stop laughing, away, they went up the old path i had managed to clime one of the tree,s they were calling pete as they came by i shook the bought unmerciful god did they go well i should say screaming and it never stoped untill they were under the gatehouse and half way aqcross the field they were still shouting by the time i had caught them up. WHERE have you been pete same place as you did you not see the ghosts what ghosts the one grabbbed his ankle and pull him in to some old brambles i only saw him once bu it frightened them to death who was i to tell them the builders and funeral directers had been around repairing walls, well they had and were making a Fair good job of there efforts the undertakers were mostly recarving most of the old grave stones they seemed to get on well together looking back the venture would take a few years but it would keep them in work for some time. well theres a bit more latter. was many more complaining i hope they dont stop it,, no mr Davies had been lisning its no ones fault it happened we should have watched the weather more thats what most were saying as we stood to attention next day my name came up and old kenedy thanked god for allowing me to live i was a bit nervous what the others would say but all was welll well thats another of my stories, more to come latter. Well nearly another year gone its been sad for me losing a fishing mate. Graham and i did most things together some legal some not its fifty one years of fishing shooting and poaching, We also reared pheasents partridge they were great good days we spent hours watching a goshawk with her nest some say you should not clime a tree with a nest with eggs i did the bird went a bit scaty or should i say attacking me she had a good clutch of four eggs the male loocks very much like a large sparrow hawk the pair did quite a bit of damage between them i.e. taking young poults from our pen, good job it was graham and myself as some would have got shot by some keepers we both loved the wild life so we covered the pen with more wire and camouflaged it that stopped then any poults that died would be given to them i think we kept them alive on rabbit, the female let me get to her nest without attacking so she exepted the fact it was us the pair reared four lovely chicks and gave graham and myself a great time watching them. When i first met Graham we were everywhere together one day he said to me i have been told to keep away from you pete the chap said you were bad news little did he know i am the same we both hour heads off. We loved those days it was not only wil both we watched farmer jones when he coupled those big gray and and black shires they were so lovly pulling the tool that got the potatoes he knew we would take a few so he did one row just out from the big hedge, he shouted they be for you we soon picked ours up the farmer had a look there for your parents take no more and we certainly took no more he was a good farmer and he trustred us to keep av eye on things and we certainly did .He let us fish his part of the river if them baliffs come take no notice, tell them to come and see me we never gave them the oprtunity we were away if we saw them in the distance . Thank you all for the kind messages i really appreciate them well i do hope you like the next story its set not far from where i live. 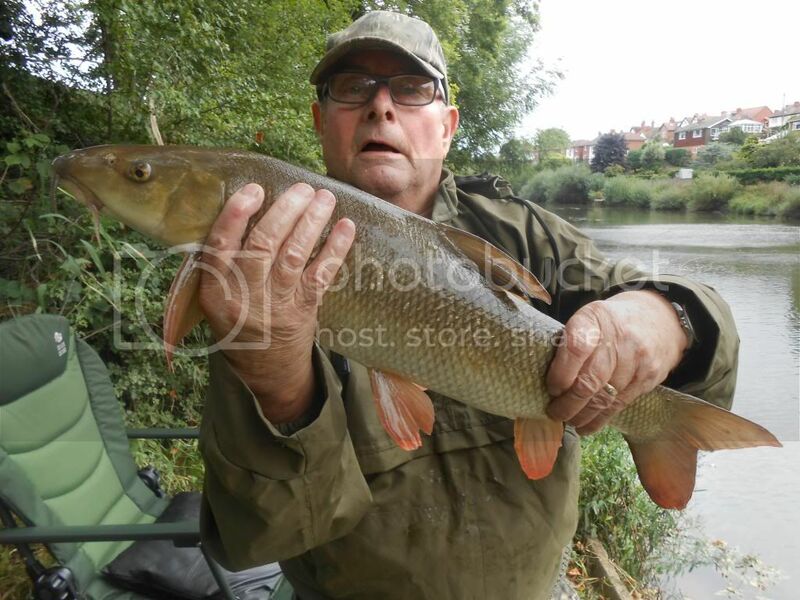 Oh mate,a great chub bag,had a few like that from the lea at broxbourne.